Over the past 25 years, GPS has evolved from a battlefield novelty to a smartphone staple. Beset by technological challenges, Pentagon infighting, and the arc of history, the road to space-based navigation was grueling. Hale’s fantastical short story predated the NAVSTAR Global Positioning System, or GPS, by more than a century. However prescient, the Victorian science-fiction tale could not have predicted the extent to which GPS would transform modern warfare, travel, and communication, leading to applications never before imagined — even by those involved with its development. GPS uses a constellation of satellites orbiting in three different planes to continuously transmit positioning, navigation, and timing (PNT) information to Earth. Affixed to a monitoring station, pleasure craft, or GPS-guided missile, a receiver interprets signals from four satellites to determine its location and time with stunning precision. Error margins are no greater than a few meters or nanoseconds. The brick moon in Hale’s story was much more rudimentary. Several characters accidentally stow away on the satellite during its launch, surviving and founding a society marooned 4,000 miles above Earth. Hale lauded his fictional community for its simplicity. Today, “The Brick Moon” is mostly remembered for the idea of using a manmade satellite for navigation. Within a century of its publication, the United States was in the middle of the space race, and the military was working on its own brick moon. On October 4, 1957, the Soviet Union launched a metallic orb the size of microwave into space. 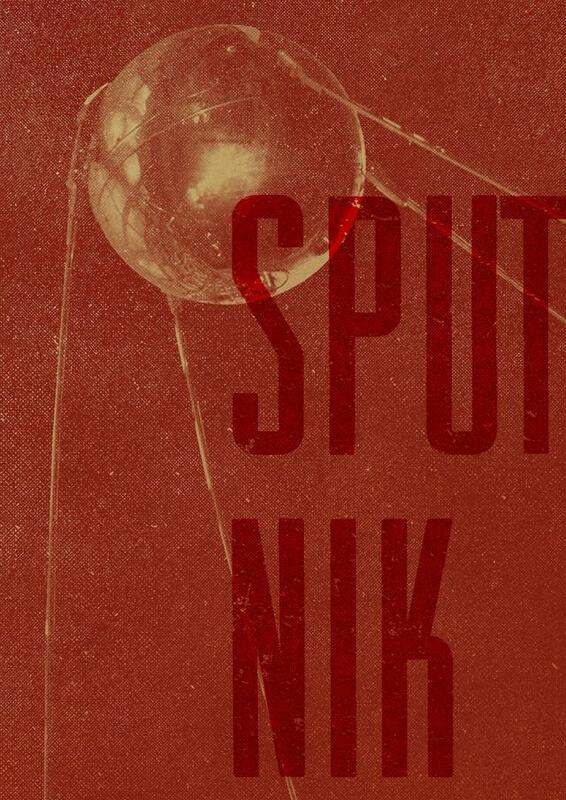 Sputnik, the first manmade satellite, not only heralded the arrival of the “space age” but also marked the first step in the development of GPS. Sputnik carried a radio transmitter that emitted a constant pulse, allowing radio listeners on Earth to track it on the 20-megahertz frequency. Coincidentally, this was the same frequency was used by WWV, a government-run radio station in Greenbelt, Maryland, that broadcast time signals. WWV would briefly suspend its signal to allow amateur radio operators to hear Sputnik’s eerie pulse as the satellite sped through its low-earth orbit. Not far from the Greenbelt radio station, William Guier and George Weiffenbach, young physicists at Johns Hopkins University’s Applied Physics Laboratory, began studying the change in frequency (termed the Doppler shift) in Sputnik’s pulses as the satellite raced past. With this data, they were able to calculate Sputnik’s position and direction and predict its orbit. In March 1958, Guier and Weiffenbach’s boss, Frank McClure, challenged them further: use the satellite’s orbit to determine the latitude and longitude of a receiving station on earth. In 1964, this work became the basis for the Navy’s TRANSIT system, the first navigational satellite program and an important precursor to GPS. Guier and Weiffenbach’s fascination with Sputnik led to the Navy’s TRANSIT system, but its potential was limited, as it provided only surface location and relied on satellites that moved in and out of range. Navy submarines and ships stationed all over the globe, sometimes deep underwater, needed something better. Easton (left) overlooking the installation of the Vanguard-1 satellite on the Viking launch vehicle. 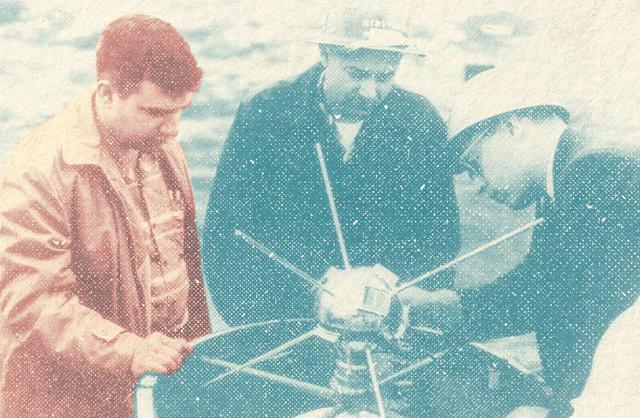 As a result of Easton’s innovation, the Navy launched the first Timation satellite in October 1967. Able to track a location on Earth within one-third of a nautical mile, the system was revolutionary in both its precision and its accessibility. It even worked with moving receivers in boats and airplanes. Beyond the improved accuracy of atomic clocks, Timation pioneered other technical aspects essential to development of GPS, such as the 27-satellite design with eight-hour, circular orbits in three planes. A then-classified Air Force report prepared in the mid-1960s by Ivan Getting, president and CEO of The Aerospace Corporation, laid out 12 different approaches to building an improved PNT system; Parkinson and his team chose the most complex of the 12 to pursue. The proposed system would have to receive and interpret four variables: latitude, longitude, altitude, and time. Called Project 621b, its development began in 1970 at White Sands, New Mexico. The endeavor ultimately brought a crucial innovation, the Code Division Multiple Access (CDMA) signal — harder to jam, able to be encrypted, and more user-friendly. The CDMA’s game-changing specs anticipated the use of digital receivers. Before CDMA radio signals would become the standard for GPS, however, further prototyping and testing was needed to resolve concerns about signal locating and the receiver’s design — not to mention getting the program accepted by the Pentagon. In August 1973, a Pentagon review board rejected the Air Force’s 621b proposal because it lacked sufficient collaboration among the branches of the armed services. 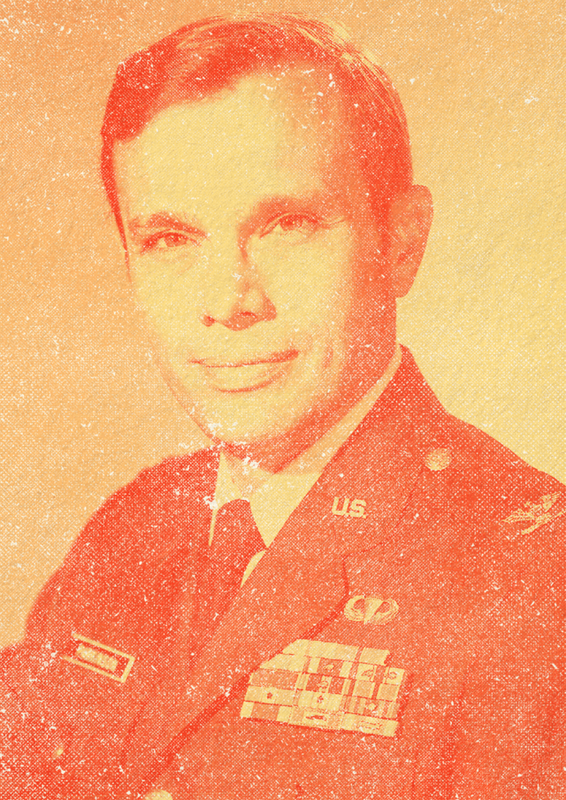 Parkinson was asked to try again and, on Labor Day weekend of 1973, found himself holed up with other servicemen in a conference room in the largely empty Pentagon, tasked with drafting a sufficiently joint proposal. In GPS lore, this gathering came to be known as the “Lonely Halls” meeting. To encourage free thinking, the Pentagon was intentionally chosen as the meeting spot, far from the Air Force representatives’ home base in Los Angeles. The resulting proposal drew from the best elements of the competing systems: The Air Force’s jamming-resistant CDMA ranging signal was selected for integration into the final design, as were the Navy’s spaceflight-qualified atomic clock and satellite configuration plan. Despite Pentagon approval, many still had their doubts about the usefulness of GPS. Both the Air Force’s Strategic Air Command and the Federal Aviation Administration (FAA) were initially cold if not outright hostile to the new technology. The Strategic Air Command initially used GPS only to score its bombing runs — until it realized how accurate the scoring was, Parkinson said. Despite the FAA’s initial lack of interest, GPS’ utility to civilian air travel came into focus in the wake of a disaster. On September 1, 1983, Soviet forces shot down a Korean Air Lines (KAL) passenger jet over the Sea of Japan. All 269 passengers and crew perished in one of the deadliest episodes of the Cold War. 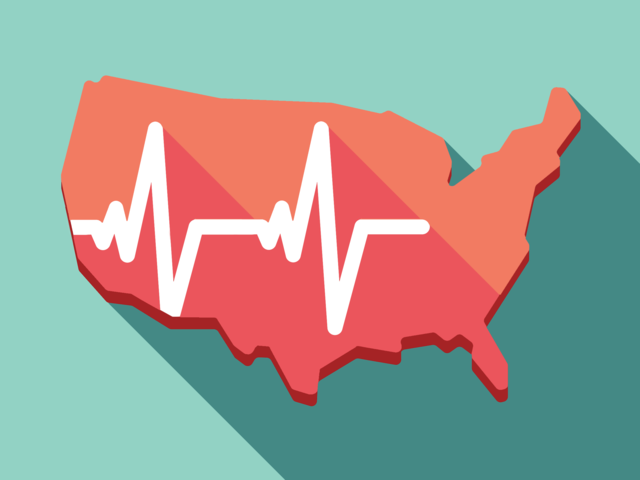 The Reagan administration’s response to this tragedy smoothed GPS’ transition into civilian use, when it was announced that GPS would be made available to civilian aircraft as soon as the system became operational. Although the FAA was initially unreceptive to GPS, its utility for commercial air flight quickly became apparent, making the airlines a key civilian user of the technology in its nascent stages. In 1991, the FAA told the International Civil Aviation Organization that it would make GPS available for free worldwide on a continuous basis — an offer that has since been renewed multiple times. Valentine’s Day 1989 marked the beginning of GPS’ modern era, when the first Block II satellites were launched from Cape Canaveral. It had been a long road. Almost 16 years had passed since the Pentagon first approved GPS, and 12 years had elapsed since the launch of the Navy’s first GPS demonstration satellite. During the Block I satellite era (1978–85), officials successfully thwarted attempts by Congress to zero out the program’s budget. The explosion of the Challenger space shuttle further delayed Block II’s launch date by an additional two years. By the time the first Block II satellites were launched, they were updated with radiation-hardened electronics for survival in space and enhanced security features. Designed to last between seven and eight years, Block II satellites could go for six months without needing contact to the Colorado Springs control center. 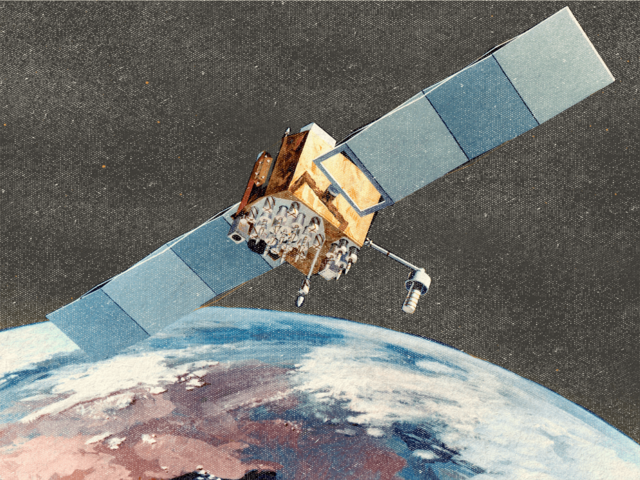 The addition of a crosslink transponder in 1990 allowed the satellites to “talk” to each other without transmitting to a station on the ground. When Iraq invaded Kuwait in August 1990, GPS was still only partially operational. Fewer than 20 satellites of the 24-satellite constellation had been launched, and half of them were experimental units. On the ground, receiver infrastructure was lacking and technical training for new operators was subpar. Despite GPS’ shortcomings, then–Air Force Chief of Staff General Merrill McPeak called the 1990–91 Gulf War “the first space war.” GPS “did enhance the effectiveness of some air missions and certainly played a role in coordination of General [Norman] Schwarzkopf’s brilliant ‘left hook’ around the Iraqi main army,” says Dr. Rick W. Sturdevant, deputy director of history at Air Force Space Command. The limited GPS available during Operation Desert Storm still provided latitude and longitude positioning for 20 hours per day and three-dimensional coverage, which included altitude, for 15 hours per day, he adds. After the war, the military implications of GPS were seen beyond the battlefield. The new technology transformed the military’s tactics and training, and enabled missions previously impossible without a constellation of satellites in the sky. Parkinson argues, however, the full potential of GPS was not realized until the NATO intervention in Kosovo at the end of the 1990s, when bombers were able to accurately hit targets at higher altitudes. The technology helped increase efficiency — objectives could be now achieved with fewer sorties — while reducing the probability of hitting a civilian target like a hospital or school. And the technology trickled down from there: By the time Operation Enduring Freedom began in October 2001, U.S. troops were using GPS-guided 55mm Howitzer rounds. Following the first Gulf war, GPS was firmly established an invaluable asset to U.S. military operations, but its development in civilian applications was lagging, quite literally. From the beginning, the military thought GPS was too accurate for nonmilitary users. To address this concern, GPS satellites intentionally downgraded their civilian signals, a feature called “selective availability.” A weaker signal meant that foreign militaries could not use the United States’ GPS constellation to guide weapons, but it also stymied commercial use for much of the 1990s. The degraded signal could navigate a sailboat back into Massachusetts’ Wellfleet Harbor, but was not good enough to support turn-by-turn directions through downtown Chicago. After more PNT systems came online in the 1990s, including the Russian GLONASS system and the European Union’s Galileo system, selective availability increasingly became a hindrance. In 2000, President Bill Clinton deactivated the function, opening up the more accurate signal for civilian use. 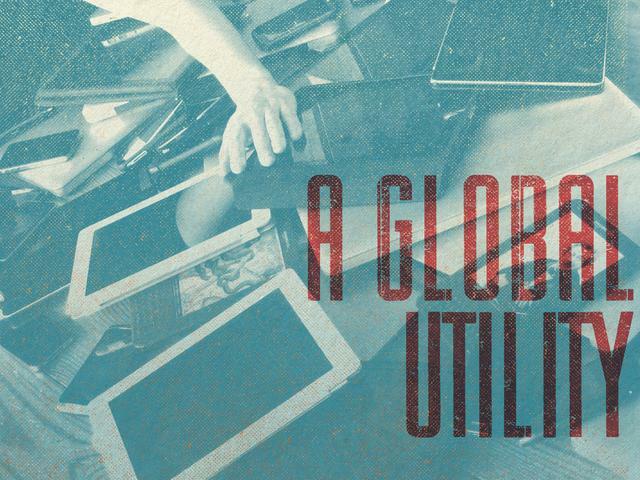 In a statement, Clinton said that GPS had become a “global utility,” listing multiple applications that relied on the satellite system only a decade after the first Block II was launched. After the 2000 announcement, the more accurate GPS signal and the rise of the cell phones ushered in an age of increased civilian uses. The marriage of mobile phones and GPS actually goes back to the 1990s, when the Federal Communications Commission decision to ensure that 911 responders could locate victims who were calling from cell phones; Beginning in 2001, phones were required to include some sort of location-finding capability, and many service providers turned to GPS to fulfill the requirement. Even the holdouts began to include GPS capability — and not just to provide location information to first responders. Smartphone applications introduced GPS to provide driving directions, weather and traffic information, and “geotag” photos, as well as enhance social media. “As the phones became more capable, [they asked] why can’t we build [GPS] software on the phone so the consumer doesn’t just call for help, but it can be used to navigate around,” says Bray. Soon, phones began using sophisticated combinations of GPS, other PNT systems and wireless internet to allow for near-seamless navigation, opening the door for all manner of location-based apps that use the technology to find a burger, friends, or a ride home. But these applications have also created challenges and dilemmas. The ridesharing app Uber is wreaking havoc upon the U.S. taxi industry, transforming what was once a living-wage profession into a part-time job without benefits, while the use of GPS trackers to surveil convicted criminals or monitor suspicious vehicles could violate the 4th Amendment’s protection against unreasonable searches. From the traffic-avoiding app Waze to iPhone cameras, mobile device applications increasingly require a user’s location, raising privacy and security questions. And the civilian dependency on GPS increases the risks of jamming: intentionally disrupting GPS signals, which is not too difficult to do and could aggravate city traffic, cause shipwrecks, or crash drones. The integration between various PNT systems is likely to continue, while increased civilian use also drives us toward better satellites. The next generation of PNT satellite — GPS III, expected to launch in 2016 — will have a new civilian signal, making it interoperable with other international PNT systems to provide better coverage. It will also feature greater resistance to jamming and increased signal power to boost coverage and accuracy, according to a spokesperson with the Air Force’s Space and Missile Systems Center. Even though GPS is being used more and more for civilian applications, the Defense Department has not lost interest in it — far from it. The Defense Advanced Research Projects Agency (DARPA) was one of the first believers in the concept of GPS, providing $1 million to underwrite the original TRANSIT system back in 1959. Since then, the military research agency has contributed greatly to GPS’ development. And in DARPA’s case, size matters. In the late 1980s and early 1990s, the military used the “PSN-8 Manpack,” the most common portable GPS receiver, which weighed 17 pounds and was worn like a backpack. In 1991, DARPA introduced a miniature GPS receiver roughly the size of a pack of cigarettes, weighing a fraction of its predecessor’s size. A dramatic improvement to the Manpack, the new receiver — nicknamed the “Virginia Slim” — led to a long line of military receivers and paved the way for an influx of consumer GPS applications. But DARPA is still going smaller as it tackles another issue: how do GPS users pick up a signal when they are underground or indoors or when an adversary is jamming GPS signals? The agency currently has an umbrella program focused on “micro-PNT” technology to develop sensors and clocks to allow for dead reckoning of navigation in lieu of GPS. DARPA’s work on TIMU highlights one of the main concerns about GPS: The system’s signals are relatively weak. Foreign militaries or even space weather could cause interference. Airports have even reported issues with GPS systems from nearby highways, where truckers use jammers to stymie GPS-enabled tracking by their bosses. Meanwhile, foreign governments are shoring up their own PNT capabilities. Because of high-rise buildings and mountains in Japan, current GPS service can be spotty, leading to plans for the regional Quasi-Zenith Satellite System to augment GPS. Other countries are going a step further, concerned about the U.S. military’s control over GPS, the fact the United States could stop providing the service, and their own national security considerations. To this end, the rising powers of Asia are working to design and launch their own PNT systems: China’s BeiDou Navigation Satellite System aims to be operational by 2020, while the Indian Regional Navigation Satellite System seeks to provide service almost a thousand miles beyond India’s borders. Aaron Lovell is a senior program associate with the Science and Technology Innovation Program at the Wilson Center. Formerly a reporter, Lovell covered Congress, environmental policy, and high finance. You can follow him on Twitter at @aaron_lovell.